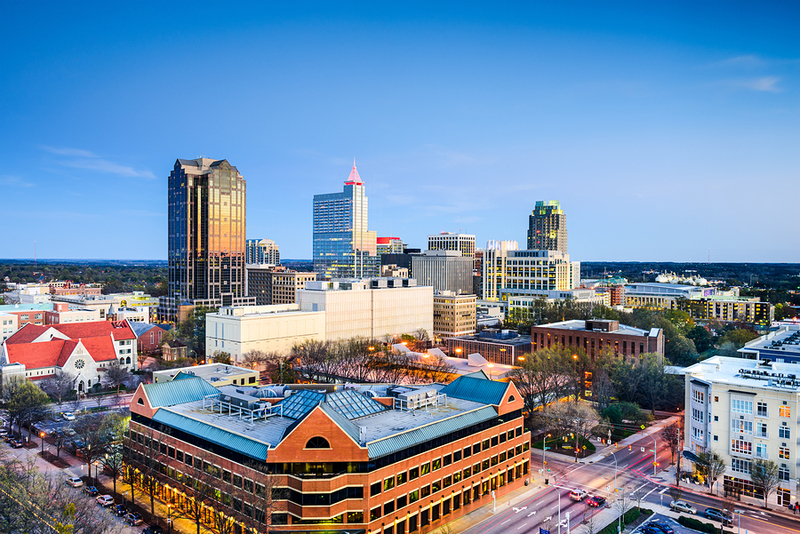 As you might expect, living in downtown Raleigh provides locals with a fun, lively, and energetic atmosphere that’s unlike anything else you’ll find in the Triangle area. Full of all kinds of shopping, dining, culture, and entertainment, downtown Raleigh is quickly becoming one of the top spots for home buyers to consider during their home search. From newer construction condos and townhomes to a unique variety of historic single-family homes and bungalows, the downtown Raleigh real estate landscape is diverse and sure to have something that fits all your needs and wants in a new place to live. At last count, downtown Raleigh had about 165 restaurants and bars to choose from, not to mention over a dozen art galleries, several local museums, and countless antique shops and small boutiques that make for an awesome place to do all your shopping too. Easy transportation via the R-LINE makes the downtown lifestyle easy and convenient, and the city's efficient bus system runs about every 10 to 15 minutes as well, which should connect you to about any downtown destination you need. In general, the heart of downtown Raleigh consists of five primary districts: the Capital District, Glenwood South, the Warehouse District, Moore Square, and the Fayetteville District. Moore Square and the Warehouse District are two of Raleigh’s older neighborhoods that are filled with loft conversions and plenty of different condo and townhouse options. Glenwood South is also becoming a hotspot for affordable attached living spaces as well, and if you’re looking for a larger single-family home during your search, you shouldn’t find a plethora of options located just outside the main downtown districts. For additional information about Downtown Raleigh or other Raleigh real estate, give us a call today!